The basic Google Alerts are all well and good. But there are additional, or ‘advanced’ features that help you to get more out of them. These include tweaking your Google Alert set up, and tricks to writing effective search queries. First things first: tweaking your Google Alert. 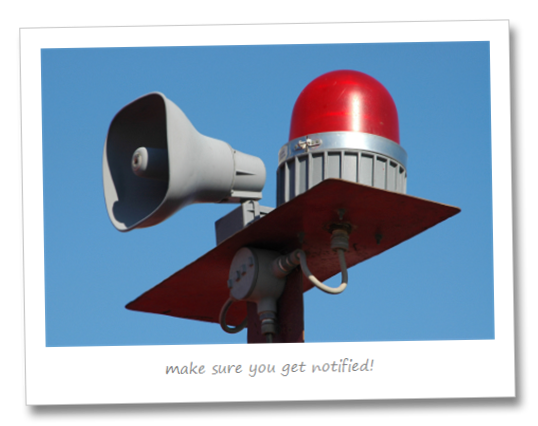 Whenever you want to manage, or tweak, your alerts, go to this location: www.google.com/alerts. It’s a good idea to bookmark the link, in case you ever forget it. And for each one, you have a small ‘edit’ button to the right. Click this to change any settings of the alerts. The lovely thing about editing your alerts is that you can edit the alert immediately on this page. Being able to edit everything all on one page makes it easy for you to tweak your search queries. This can be very useful if, after setting up your alerts, you find that it’s not returning specific enough results. Here are some key tips for writing great search queries. Make them as precise as you can. Think hard about what phrases, key words, and names you need to search for, and the types of results you are after. Use quotation marks to join words into phrases, such as "online marketing". If you don’t enclose them, Google will search for each word separately. Use a minus symbol (-) to exclude words from your query, such as "online marketing" -blogs. This is helpful if you find that you get results returned that always include a search phrase you don’t want. Use a plus symbol (+) just prior to a word, to have it queried exactly as you typed it, such as +colourful. This forces Google to find only those results with this word included. Use a URL if you want to search specific sites, but make sure to include ‘site:’ before it. Such as, ‘marketing site:edu.au’; or ‘site:twitter.com’. If you want to hear what people are saying about you in a particular forum, or in social networks, this type of search will be invaluable for you. Remember – You can combine all of the above to make your search as specific as you can. For example, the search query: "online marketing" +blogs -site:twitter.com will search for the phrase ‘online marketing’ wherever the word ‘blogs’ is used. It will exclude any results from Twitter. If you wanted this search to be limited to blogs themselves, you’d change your alert from returning ‘everything’ to only returning ‘blogs’. For the official guide to searching using Google, click here. It will take you through everything: including what punctuation is ignored, and what isn’t. Once you play around with writing search queries, you will find that not only will your alerts be more specific, but you’ll be able to apply the principles in all of your online searches as well. Coming up is the last of our reputation management series. In Part Four, we will look at what you do with your results once you get them. Stay tuned!